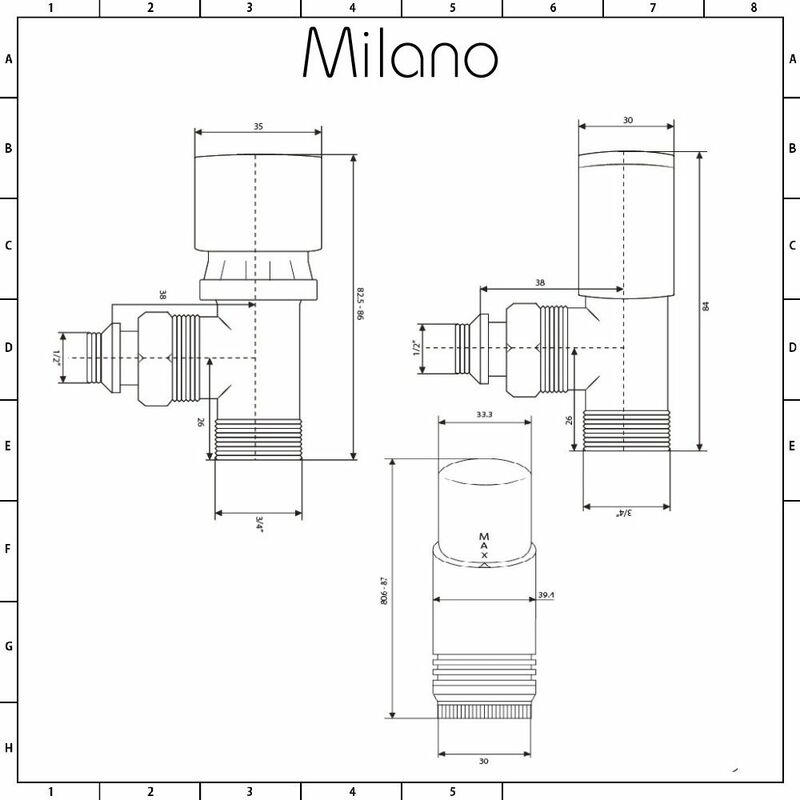 Add the finishing touches to your new heated towel rail or designer radiator with the Milano chrome thermostatic radiator valve and ¾" male thread valve. 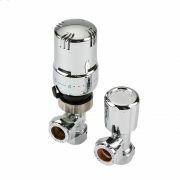 Made from brass with a chrome finish, the thermostatic valve allows you to easily control the heat output of an individual radiator. 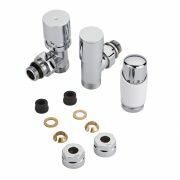 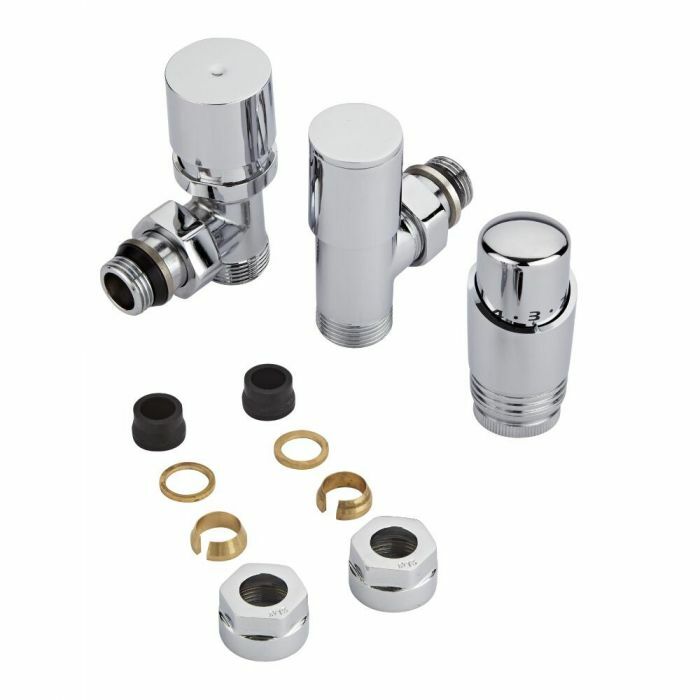 The pair of 15mm copper adapters allow for the connection of various fittings made from thin walled copper and stainless steel.